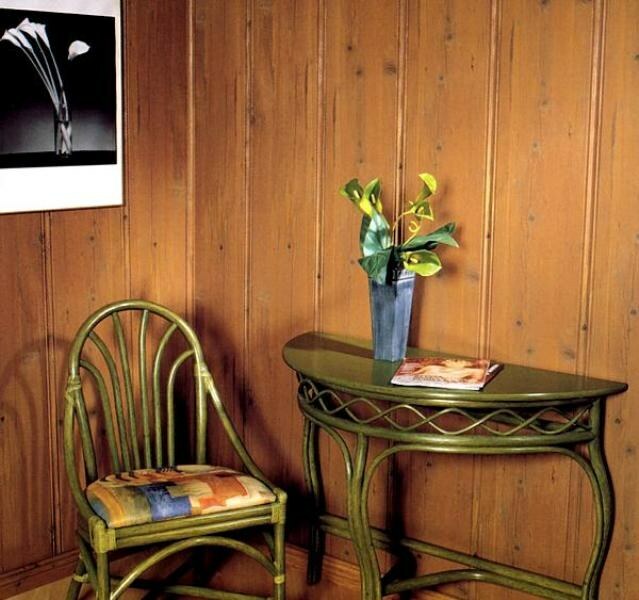 Decorating a room or kitchen wall plastic panels gives the room a nice look. This coating is practical and convenient in daily maintenance. Installation of plastic panels does not require laborious preparation and leveling of the walls. Despite this, the material is trimmed so the walls look like, as a rule, perfectly. The installation of wall panels, start with the installation of fastening elements. On the surface of the wall, attach the dry wood that they reside perpendicular to the direction of installation of the panels. Use to set bricks level and building level. The optimal distance between the bars on the wall shall not be more than 400 mm. Make sure wall panel is precisely cut according to the height of the walls of the room. Insert the first plastic panel into the groove of the fastener by a narrow shelf. The panel must be positioned very exactly relative to the angle of the wall surface. Wide mounting shelf, fasten to bruskam nails or screws. The second wall panel insert in the first slot. Making sure that between the panels with no gaps, secure the panel with the selected method. Consistently connect all of the remaining panelsto cover the entire surface of the wall. The last panel reduce in the longitudinal direction from the wide mounting of the shelf relative to the center of the fastener about 5-7 mm. First, insert the wall panel into the groove of the fastener, and then tightly attach to the previous panels. Additionally, attach the last panel is unnecessary. If you want to cover the walls in combinations of various colors, use for joining panels of a special connecting element. For mounting on the surface of the panelled walls, lamps or other devices, install an additional obreshetku from wooden bruskov in areas proposed mount before the installation of the panels. Go to mount panels on the next wall, observing the above sequence of operations. Finish with the plastic panels of the walls, attach bottom skirting boards, and to the junction of wall and ceiling – of the throat.